We’re a group of dedicated community members who are helping saving lives on the side of our regular jobs. 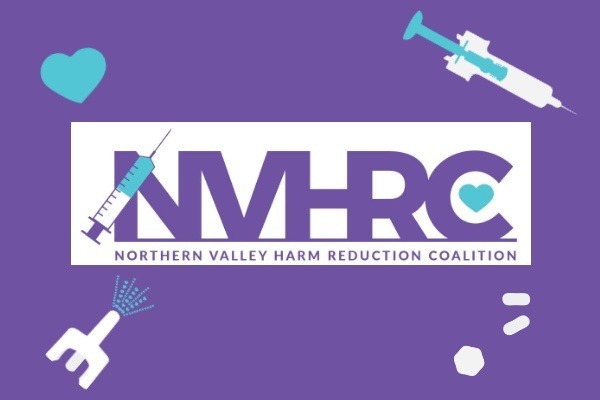 NVHRC was founded in July 2018 by a group of about 20 passionate community members who wanted to bring harm reduction to Butte County. NVHRC is not a 501c3, yet, but we’re working on it. We are 100% volunteer run organization! We offer the following free services in Butte County: Naloxone (Narcan) distribution and training, rapid HIV and Hep C testing, harm reduction supplies, disposal of home generated sharps, and routine clean-up of syringe litter in Chico. Funds raised will go towards becoming a 501c3 non profit. Any remaining funds will be used for outreach supplies and the essentials for providing a much needed resource. We are in immediate need of these funds. Recently the need for harm reduction, including a syringe access and disposal programs, has increased greatly. Our community was dealing with the consequences of meth and opioid use long before the Camp Fire, but this crisis made a bad situation worse. The need for harm reduction, including a syringe access and disposal programs, has increased greatly in our community. According to data from the California Department of Public Health, recent opioid overdose deaths in Butte County were concentrated in the areas affected by the Camp Fire. We've received reports of increased opioid overdoses, needle sharing, and injection related endocarditis in Butte County and we worry that it will increase further as a result of this new trauma. In times like these, a quick response can interrupt disease transmission and connect drug users to vital resources. NVHRC will be submitting an application to the California Department of Public Health to become a certified syringe exchange to meet the unmet needs of those who use substances in Butte County. This funding will support building our organization and programs until we receive 501(c)3 status, which will allow us to secure more stable long-term funding through grants.